Each month the bar where we work hosts an in-house cocktail competition amongst the staff. This is a particularly attractive drink that Sam Zaid entered last month. 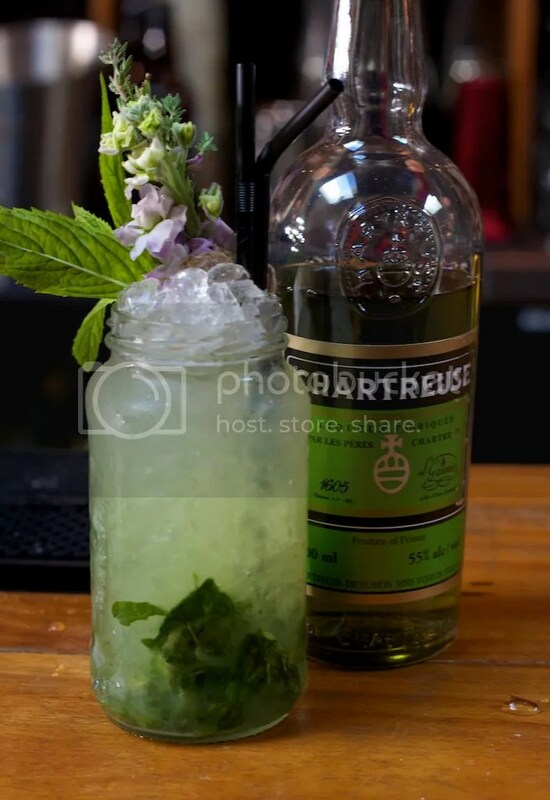 It’s a version of the Chartreuse Mojito, that he called a Monk’s Mojito. Beautiful. The flowers really take it to the next level.